This post was inspired by samples from Sitara collection. All opinions are 100% my own. I have had the lovely chance to work with SitaraCollections.com. 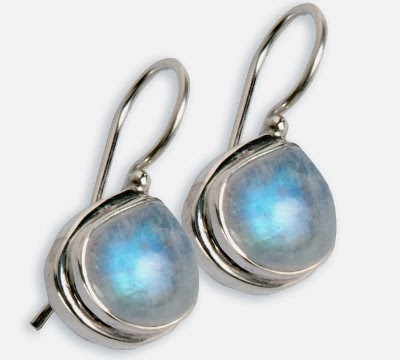 An online jewelry, home store and more that features unique pieces from all over the world. 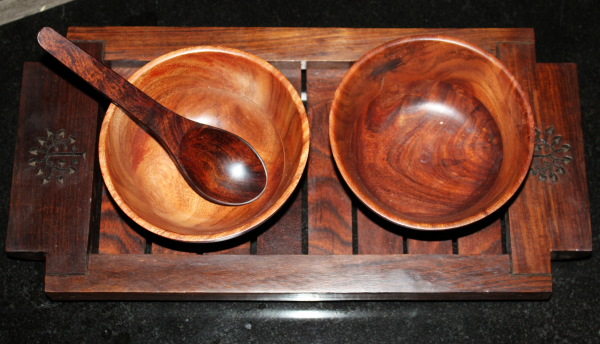 The piece I chose to review is this hand made Mango wood bowl set with spoons, that sits on a pretty tray. The tray has a stunning Tree of Life design engraved into both sides. and everything is made of sustainable mango wood. It's so lovely to look at and I use it for holding many different foods. The quality is very nice, thick, heavy but not too heavy and sturdy. It's just beautiful to look at. I love the woodsy and earthy feel it gives to my home. Very happy with this product. You can tell the Artisan of this design put a lot of care into making this. Wait till you see what else they offer, like the beautiful earrings above. A very pretty array of jewelry and home collections is waiting for you. Go take a look! Right now, Sitara Collections is giving away a $100 Gift Card! There will be 5 lucky winners !! Sweeps ends April 15, 2014, get your entry in!